Ashiyana Packers Movers is a Delhi based company, rendering professional packing and moving services all over India for all your packing and moving needs. 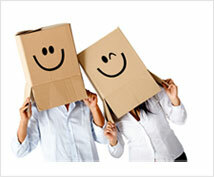 We take utmost care offering high-end packing and moving services at reasonable prices. All our staffs are courteous, experienced, and prudent. We offer personalized service for any kind of relocation whether it is local, domestic and Global. We are Specialist in Packing and Moving services, House Relocations, Corporate Relocations, Car transportation Services, Premium Moving Services and Ware Housing. We provide relocation services at genuine and reasonable price that is hardly met by other expert Packers and Movers in Chennai or packing moving companies in India. We have 09 years of experience in the field of relocation and transportation industry; thus providing right solutions for different packing and moving needs. Our Packers and Movers, Delhi services are available for all relocations such as local household, office cargo shifting, industrial goods shifting and long distance housing or commercial relocations etc. If you are truly concerned to make your move simple and smooth, our services will cater your curiosity. So, schedule your move with us and turn the moving into a pleasant experience. Our specialized edge compared to the other shifters in India will speak about itself when you make a move with us. Call us today for a simple and easy move. We use the best in class packing materials to protect your goods from any external damage like moisture or dust.